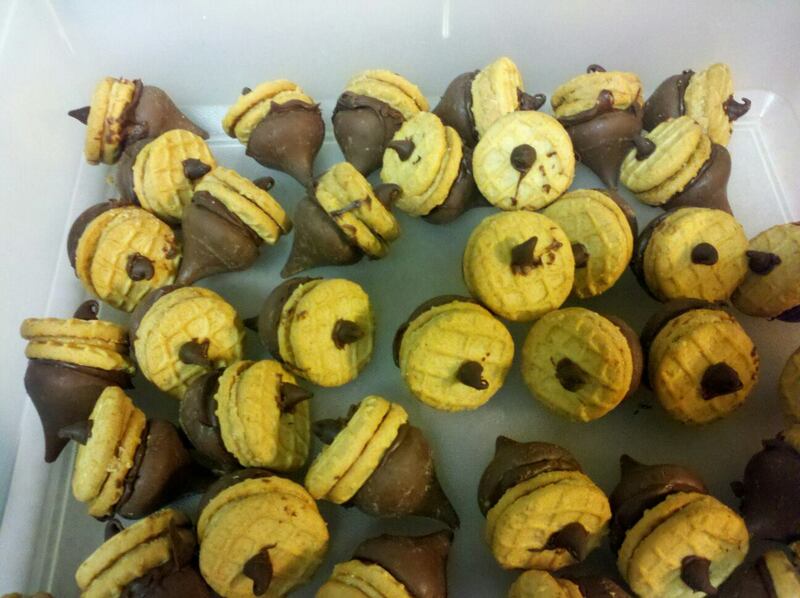 Chocolate and Peanut Butter; need I say more? These are a perfect project for tiny fingers! - Dip the flat end of the Hershey's Kiss into melted chocolate and top with a bite-size NutterButter. 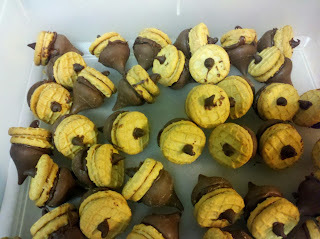 - Dip the flat end of a Mini-Chip into the melted chocolate and stick it to the NutterButter. If your child has a peanut allergy, substitute the NutterButter for a Ritz Bitz!